Like last year the NYSBA Digital Leadership Academy (DLA) will be held in conjunction with the NAB Show New York which will take place on October 17th and 18th at the Jacob Javits Center in New York City. This year’s Digital Leadership Academy (DLA) will feature an exciting new format. Our objective is to provide you with the best in sales training to cover all your station’s needs. The market has evolved rapidly, and sales training must encompass both the digital and traditional broadcast side of the business. The DLA will help your sales staff become more effective. General Sessions Wednesday October 17th: We will feature general sessions that cover the hottest topics in digital sales. Breakout Sessions October 18th: To meet your diverse sales needs, our breakout sessions will be divided into two tracks. Track I: Features the IAB’s famed Digital Media Sales Certification Prep course. The six-hour course will be hosted by IAB digital trainers. 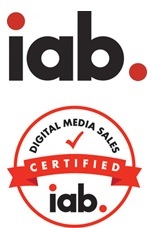 By all accounts the IAB course is the gold standard for digital media sales training. 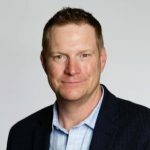 Track II: Features nationally recognized broadcast sales expert Adam Armbruster, Sr. Partner, ESA. He will take a deep dive into specific sectors including; automotive, home services, health care, legal and financial services. Lunch is Served: Individuals registering for the DLA are invited to attend the New York Leadership and Hall of Fame Luncheon at noon on October 18th. Registration: As in the past, the DLA will be free to verified employees of all NYSBA station members in good standing. Upon proper documentation (paid hotel receipt), we will also reimburse the costs of the hotel for the evening of October 17th up to $300.00. You may register for the DLA on the NAB SHOW New York website HERE. Verified employees of NYSBA members in good standing must use the code “NYSBA” when they register to receive the discount. 3:00 - 4:00 pm - Annual Digital Sales Idea Contest - Stations present original ideas that have worked in their markets - Prizes awarded. Whether you are experienced or newer to digital media, the Digital Media Sales Certification Prep Course provides detailed insight into each content area of the certification exam and key strategies for digital media sales success. You’ll emerge with an elevated knowledge of digital media and a higher chance of succeeding when you sit for the IAB Digital Media Sales Certification exam at your local testing center. Sessions will discuss digital trends for all clients, their immediate needs, expectations and objections. We will focus on digital tools that make money and where to find opportunity in each category. Sessions will provide updates on economic market trends for both national and local clients.